There’s different types of garage door panels to choose from. However, there are some basic things a person should know before they go out and purchase garage door panels. 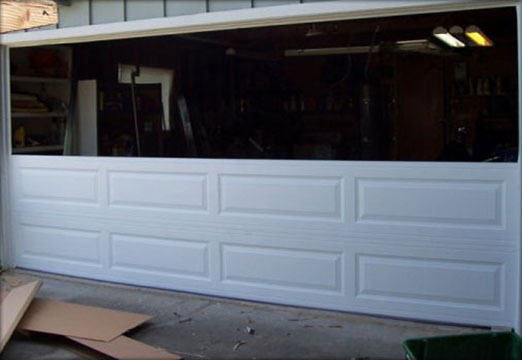 One type of material used for garage door panels that’s very reliable is metal. Metal and steel garages are good for protecting your home especially against burglary. Due to their blank tone look. Often times they may not match the overall look of the house. Some people paint the metal panels in order to solve this problem. Which usually can help improve the look of the garage door panels. Metal panels can have an overlay design that can give the material a more natural look. One of the best materials you can get for garage door is aluminum. Aluminum is rustproof, weather resistant, and very light. There’s also wooden panels which is a great choice for a lot homeowners because they give a nice warm welcoming look. The problem with wood panels is if they’re exposed to weather they eventually wear out. This is why most homeowners want to find garage door panels with material that will last for years. Wood tends to get larger and compress when under certain types of temperatures. This could cause a problem later on when trying to tighten up lose screws. If anyone does decide to get a garage door with wooden panels, they should try to get one that’s more weather resistant. One of the advantages that wooden panels have over metal panels is that they provide better insulation. This can be very beneficial in the winter for someone who lives in an area that gets the seasons. There’s no standard size to get when purchasing garage door panels. Which is why most homeowners get a custom one that will fit their home. A Homeowner will need to have the suppler or a contractor measure their garage door entrance before installation. After that the supplier or contractor should be the one to install the garage door panels for your home. Make sure the door panels fit the design of your home, otherwise you can paint them for a better look that matches.